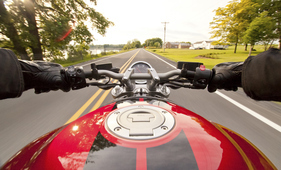 What Insurance Benefits Are Available Following a Motorcycle Accident? Ontario has a no-fault insurance system for motorcycle accidents, which allows you to obtain accident benefits irrespective of fault. In addition, an injured person can also obtain compensation from the at-fault driver's insurance company. Still have questions? Schedule a Free Consultation.